AML’s made to order programs offer a variety of experiences for groups of youth and adults. Ranging in length from 1 to 7 days, these programs may include backpacking, rock climbing, rappelling, and on-site facilitation. From youth group programming to corporate team building, we have you covered. The goal of this 3 day backpacking program is to provide an immersive experience for youth and/or adults in the rugged and beautiful mountains of North Carolina. These 3 day (often weekend) retreats provide an opportunity for your group to cultivate community and acquire skills.Our teams of qualified Instructors will provide technical skills training and interpersonal (soft) skills training that is necessary to work cohesively towards group goals. During AML’s Wilderness Retreats we leave two open sessions, in which you can provide your own curriculum- making it ideal for work, small group, or youth group retreats in which you have specific materials that you would like to cover. Similar to the Wilderness Retreat above, the goal of this 3 day backpacking program is to provide an immersive experience for youth and/or adults in the rugged and beautiful mountains of North Carolina. These 3 day retreats incorporate Christian Spiritual Formation into our services. Our Instructing teams are uniquely qualified to lead groups through both technical elements of our programs and the precious opportunity to connect with Jesus. The goal of these programs is to develop positive, lasting change in the workplace through innovative adventure-based programming. These programs are typically single day events but can span the length of a weekend or even longer. AML utilizes wilderness areas, local parks, or indoor event spaces to facilitate these programs. Through our Corporate Team Building programs, we aim to enhance the effectiveness of individuals, teams, and organizations. The goal of these programs is to deliver transformative and positive change in the culture of Ministry Leadership Teams through innovative adventure-based programming. These programs are typically single day events but can span the length of a weekend or even longer. AML utilizes wilderness areas, local parks, or indoor event spaces to facilitate these programs. Through our Ministry Leadership Building programs, we aim to enhance the effectiveness of individuals as they strive to serve together in ministry. Through our Rock Climbing Day Programs, individuals will have an opportunity to safely step outside of their comfort zones. In doing so, participants will be challenged to overcome adversity, grow in their own self-confidence, and develop trust in themselves and others. Our Rock Climbing Day Programs take place in beautiful and rugged western North Carolina. 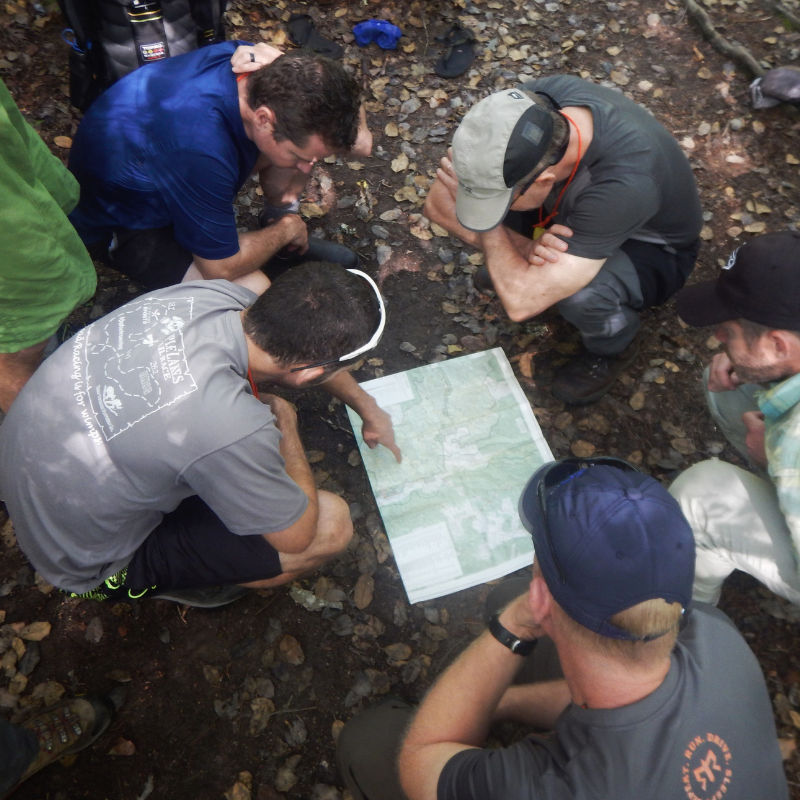 We are committed to tapping into the powerful leadership lessons that are present when a group goes on expedition together. We have a deep passion for drawing out the leadership potential within each member of a group. If you’re looking for something that isn’t offered through our Open Enrollment Programs or our Made to Order Programs, we are able to provide a fully customized expedition that will meet your exact needs. Simply contact us via the bottom below.